Tuff Pup Training's Real World Practice Walks are an opportunity for you and your dog to practice the fundamental skills that you've been working on in your personal training programs. We know at first it seems daunting to bring a reactive pup or young adolescent dog into a group of other dogs still in need of training. However, with a few rules in place, a group walk/training session for reactive dogs can be highly beneficial. Rest assured that any dog invited to join these support walks has gone through a mandatory initial consultation sessions and has been designated as safe for the group. [Q] The walks sound like they’re going to be stressful. Won’t this just make my dog hate being around other dogs more? Every participant is asked to read our support walk rules of conduct before joining a walk. All participants must have their dog's harness or gentle leader reviewed by a trainer prior to joining the walks. All walk participants are asked to begin the walks at least 50 - 100 feet from the closest dog. Walking spots are chosen for good visibility (ease of seeing other dogs at a distance) and for their abundance of "exit strategies". A trainer is always on hand for additional support. [Q] What should I expect to happen at each walk session? [A] The trainer on hand will greet you and make recommendations as to where to stand in regards to the other dogs. Group walks last 40 minutes total. The first 20 minutes will involve guided training from the instructor who will make rounds adjusting the training goals to the individual dog. The second 20 minutes will be devoted to walking (at a distance or parallel depending on the group). This time will allow for independent training with the option to troubleshoot with the trainer afterwards. [Q] What if my dog can't handle it or I just want to leave? [A] Training walk participants are welcome to pull an emergency U-Turn at any time and call it a day. Follow your gut, and if it's not a good day for your dog there is no need to push it further. However, the trainer on hand will be able to troubleshoot with you, help calm your dog down, and guide you and your dog back to the walk. That's what we're here for. You can also consider taking a quick break. Find a quiet spot out of sight from the group and return to the walk when you and your dog are ready. As you rejoin the group, keep a larger distance buffer between your dog and others. [Q] How many walks do I have to go on? [A] You should feel free to join as many or as few walks as you'd like. Keep an eye on the walk calendar. 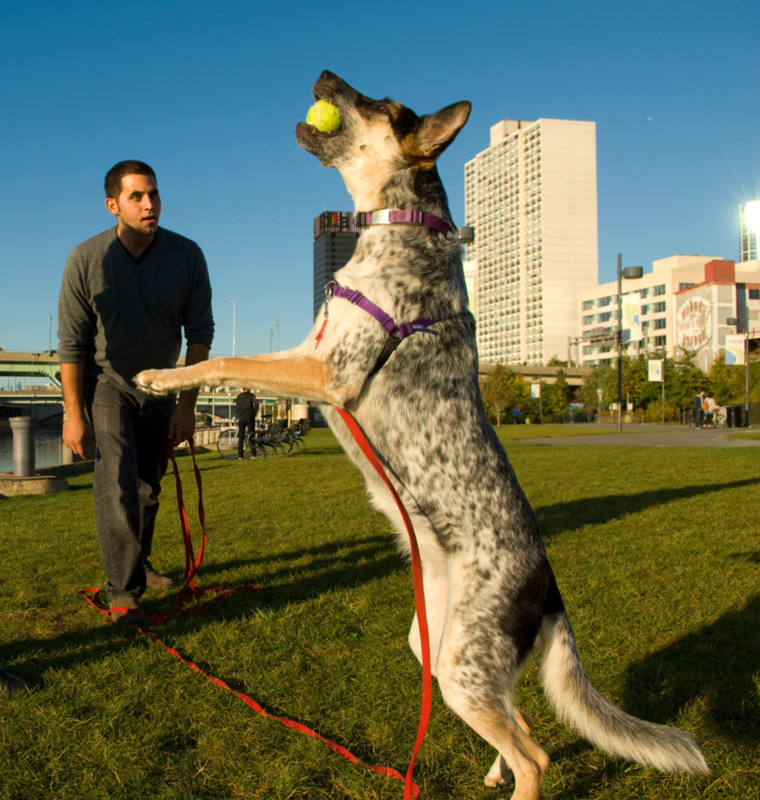 These support walks are an ongoing offering to those people participating in Tuff Pup Training behavior consultations. These walks are not mandatory but they are an included offering built into the training plan for your dog's reactive behavior. [Q] Do I need to tell anyone I'm showing up? [A] We are happy to accommodate “walk on” dogs but we highly recommend you RSVP by going to the community main page and click on the tab that says "RSVP". This allows us to prepare for unusually large groups and notify you if a walk is canceled for any reason. [Q] How many dogs participate in each walk? [A] Our support walks accommodate 2 - 6 dogs. If you know anyone who you think would be interested in participating in the walks but has not had a consultation with Tuff Pup Training, please feel free to have them contact us to discuss their dog's situation.